Decision Time: Which Chase Ink Card Should You Get? So, you’ve heard about the Chase Ink Plus credit card… Unfortunately, Chase no longer offers the Ink Business Plus card. They have, though, created a completely new line of Ink Business cards to replace the Ink Plus card. There are now three Ink Business cards and they’re all great options. See our full review of the Ink Preferred. See our full review of the Ink Cash. See our full review of the Ink Unlimited. 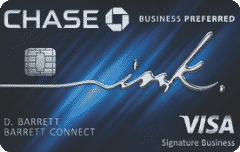 In our opinion, the Chase Ink cards are the best small business credit cards offered by any bank. Why do we believe this to be true? Well, to start, each of the cards has a very high introductory offer of Chase Ultimate Rewards points. The Chase Ink Preferred has the largest offer of all three cards and is one of the most valuable offers of ANY credit card. The Ink Cash and Ink Unlimited have very large introductory offers and also don’t have annual fees. 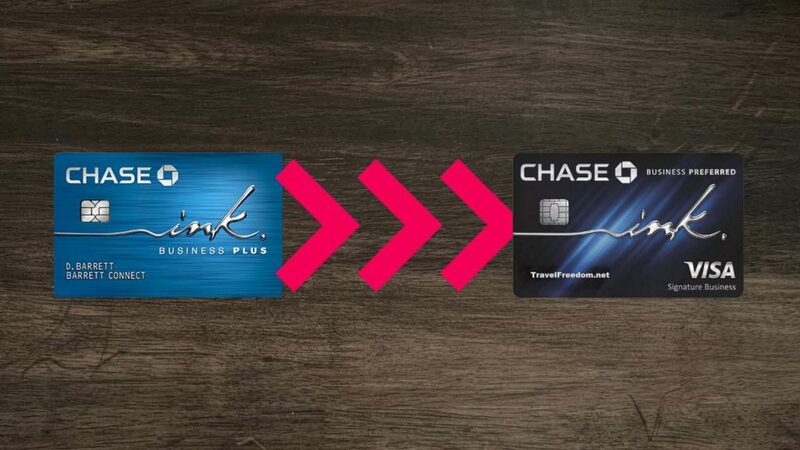 Let’s take a look at what the Chase Ink Plus credit card last offered for new card members. When it was last available, it offered a 60,000 point introductory offer. It earned 5X rewards at office supply stores and on cell phone, landline, internet, and cable TV services. It also earned 2X rewards at gas stations and hotels. 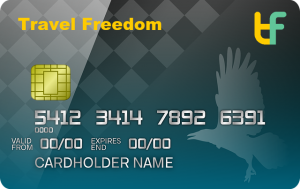 The card also came with the advantage of 20% extra value for redeeming Ultimate Rewards through the Chase travel portal. All of these features came with an annual fee of just $95. Here are the main features of the current Chase Ink credit cards. As you can see, none of the three newer cards alone have exactly what the Chase Ink Plus card offered. With a combination, the features of the Chase Ink Plus can nearly be achieved. For instance, the Chase Ink Preferred has a superior introductory offer, while it has slightly different rewards opportunities. The Chase Ink Plus has nearly identical rewards opportunities, but a slightly lower introductory offer. Lastly, the Chase Ink Unlimited has a completely new offering in the rewards department, earning 1.5X on all purchases and has an introductory offer slightly lower than what the Chase Ink Plus used to offer. We also have an article comparing the three current Chase Ink Business cards. By having the Ink Preferred and the Ink Cash together, you can have the best of both worlds. You’ll enjoy having the rewards earning opportunities of the Chase Ink Plus and more. Also, you’ll earn introductory offers adding up to more than double the points of the Chase Ink Plus. With these two cards, you’d also only be paying the same amount for the annual fees as you were with the Chase Ink Plus. 60,000 Ultimate Rewards 5X at office supply stores, and on cell phone, landline, internet and TV services. 2X at gas stations and on hotels. Points worth 20% more in Chase travel portal. 80,000 Ultimate Rewards 3X on travel, shipping, internet, cable, phone, and online ads. Points worth 25% more in Chase travel portal. Chase airline & hotel transfer partners. $500 (50,000 Ultimate Rewards) 5X on office supply stores, phone, internet, and cable. 2X on gas and dining. Purchase protection. $500 (50,000 Ultimate Rewards) 1.5X on all purchases Purchase protection. All of the Chase Ink cards earn Ultimate Rewards points. The Ink Cash and Ink Unlimited cards are advertised as cash back cards, but actually earn the same Ultimate Rewards. Those cards by themselves can only be redeemed for 1 cent per point and have no access to Chase transfer partners. Fortunately, Ultimate Rewards points can be transferred between card accounts. 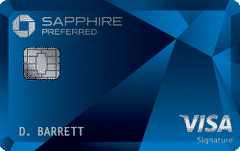 So, if you have a primary Chase credit card (Sapphire Preferred, Sapphire Reserve, Ink Preferred) you’ll be able to transfer your points to one of them to have better redemption options. With a primary Chase card you will be able to redeem your Ultimate Rewards for 25-50% more value within the Chase travel portal. You’ll also gain access to the Chase hotel and airline transfer partners, where you can often redeem points for 2 cents of value or more. My wife and I often use our Chase points to book flights to Hawaii with British Airways miles, which usually gets a redemption value of 2-2.5 cents per point. When you use this method, round trip flights cost 25,000 miles and are often priced at $500 or more. If you were thinking about applying for the Chase Ink Plus card before you found out that it no longer exists, definitely consider the new Ink cards. If you’re simply looking for the best introductory offer, the Chase Ink Business Preferred is the best. When it comes to rewards, the Ink Business Cash is a great option with multiple 5X categories. Or, if simplicity is your thing, the Ink Business Unlimited and it’s 1.5X rewards on all purchases will fit the bill perfectly. If you want the best of both worlds, you might want to consider pairing two of the above cards. I actually have and use all three cards for my business expenses. I never earn just 1 point per dollar on any purchase because of it.